RiverRun continues its Sunday morning series, bringing citizens together to learn about important issues on the state and local level. All are invited this Sunday to hear from some local experts about what has been happening regarding water contamination on the Seacoast over the last few years, where we are now, and what happens next. As always, there will be a focus on how citizens can take action. And members of the Testing for Pease organization. In case you missed it, it was just announced that PFCs were found in Berry Brook in Greenland and Rye. It’s clear that this problem is not going away. How, as a society, should we be addressing this problem. What can residents do in the face of such a huge issue? 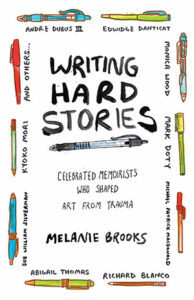 Melanie Brooks is a freelance writer, college professor, and mother living in Nashua, New Hampshire with her husband, two children and yellow Lab. Melanie received her master of fine arts in creative nonfiction from the University of Southern Maine’s Stonecoast MFA program. She teaches at Northeastern University in Boston, Massachusetts, Merrimack College in Andover, Massachusetts, and Nashua Community College in New Hampshire. Her work has appeared in the Washington Post, Bustle, The Manifest-Station, Hippocampus, the Huffington Post, Modern Loss, Solstice Literary Magazine, the Recollectors, the Stonecoast Review and Word Riot. She received the Michael Steinberg Prize for Creative Nonfiction in Solstice Literary Magazine’s annual contest. Her almost-completed memoir explores the lasting impact of living with the ten-year secret of her father’s HIV disease before his death in 1995. Her writing is the vehicle through which she’s learning to understand that impact. Andrew Krivák’s powerful first novel about brotherhood and survival, The Sojourn, tells the stirring story of Jozef Vinich as he joins the Kaiser’s army during World War I. Continuing the story of the war-torn Vinich family, THE SIGNAL FLAME fast forwards to the death of the WWI veteran and focuses on the lives of the next two generations. Jozef’s daughter Hannah and her first son Bo live in a small town in rural Pennsylvania. They work and love and wait for news of Sam, Hannah’s prodigal younger son reported MIA in the Vietnam War. Krivák’s luminous prose hums with blood and passion, lifting the everyday into something extraordinary. In the manner of Marilynne Robinson and Walker Percy, Krivák subtly layers his ideas about faith into this story of a Slovak Catholic family struggling to endure the hardships of normal life. 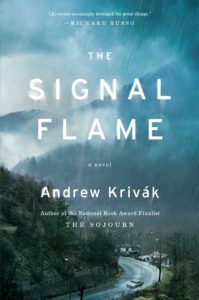 A gorgeously written novel, THE SIGNAL FLAME honors the cycles of earth and body—and confirms Krivák as a writer of extraordinary vision and power. All are invited this Sunday, As always, there will be a focus on how citizens can take action. So far we have looked at State politics, and at environmental damage to our water quality. This time, our topic will be town politics. Laurie McCray, Vice President of Portsmouth Democrats. Laurie will talk about what the Portsmouth Democrats do, and ways to be involved in party politics here on the Seacoast. Eric Spear, city councilor and former Mayor. Eric will talk about how to plug in to our city government. How to best reach your councilor. How to join a commission or sit on a board. As always, there will be lots of time for questions. This is open to ALL levels of poets, singers, rappers, and comedians! 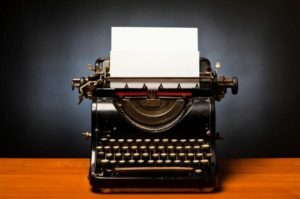 ALL levels of talent welcome you can read original work or read someone else! Come have some fun and celebrate with us! You can SLAM, RAP, READ, SING, JOKE, ACT, whatever you want the only open mic RULE is one poem (or song, or piece), two pages (if written), two minutes or fewer to provide enough time for all those that wish to share! RiverRun continues its Sunday morning serie s, bringing citizens together to learn about important issues on the state and local level. All are invited this Sunday as we look to national politics for a change with our State Rep Carol Shea Porter, who will talk about representing New Hampshire issues in Washington. As usual, we will focus on learning how to best engage with the political process.